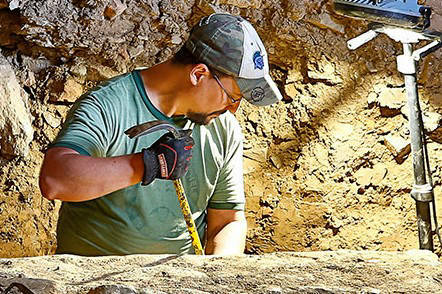 VIP ticket holders can join bourbon archaeologist Nicolas Laracuente for a discussion forum examining his work among the remains of OFC Distillery (later known as George T. Stagg Distillery and today as Buffalo Trace Distillery) in Frankfort, Kentucky. Learn about how excavations revealed remnants of OFC fermentation vats within the foundations of a modern building on the distillery site. Mr.Laracuente’s work has enabled Buffalo Trace to recreate traditional, late 19th century fermentation practices and preserve techniques that were championed by Colonel EH Taylor. Discover why the whiskey world can’t get enough of the bourbon treasures hidden beneath a hundred years of dust and dirt. Come to appreciate the genius of EH Taylor while enjoying a varied tasting of new and experimental Buffalo Trace distillate with a selection of EH Taylor whiskeys. Seats for this VIP discussion forum can be reserved by filling out the contact form. All VIP and General Admission ticket holders are invited to join Master Distiller, Greg Metze, for a discussion about his life as a distiller, his new venture with Old Elk Distillery, and a tasting of his newest products. Whiskey aficionados know Greg's work and his extensive whiskey portfolio. 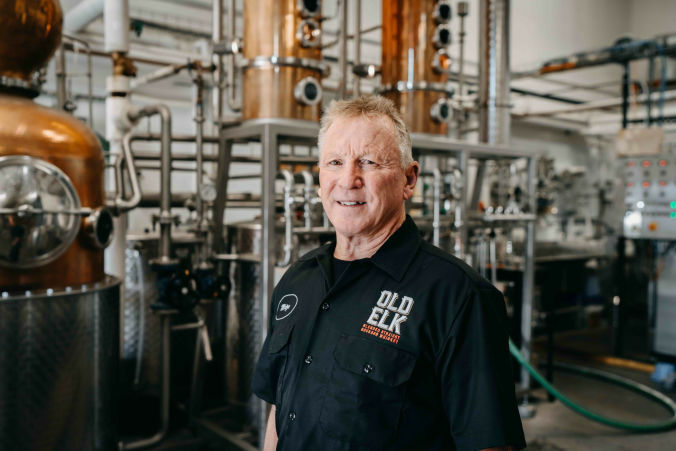 Mr. Metze's new position of master distiller is with a young distillery called Old Elk in Fort Collins, Colorado. He has designed the recipes for Old Elk Distillery’s new products based on his many years of experience with varied mashbills. Some of these products, only available at the distillery's tasting room in Colorado, will be poured during his discussion. Greg Metze is an incredibly rare example of a master distiller sourcing bourbon for his new distillery that can truthfully say, "I made this bourbon myself." Ancient Alcohol Tour with Pat McGovern: Explore the Archaeology of Booze! 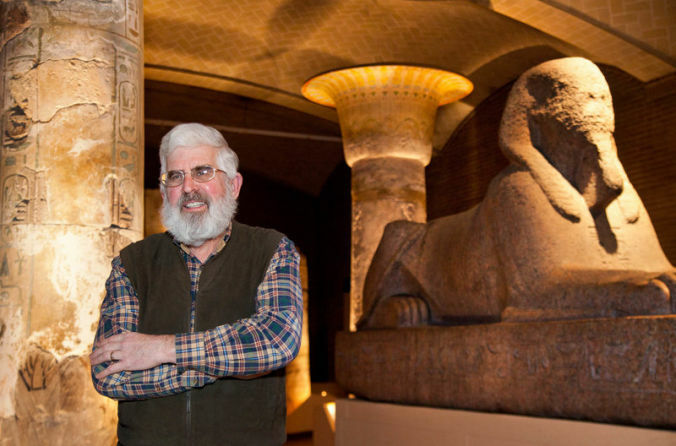 This year, we are offering an ancient alcohol tour for 20 VIP ticket holders through the Penn Museum's galleries with the "Indiana Jones of Ancient Ales, Wines, and Extreme Beverages", Pat McGovern. He will guide you on a 1/2 hour tour of the museum's collection of ancient drinking vessels and alcohol related relics from antiquity. Explore how our ancestors partied like it was 5000 BCE! On this guided tour of the Penn Museum, check out early drinking vessels that reveal secrets of ancient Greek drinking games and the beverage served at a feast hosted by King Midas. Get up close to examine one of the world’s oldest wine jars, a queen’s golden beer straw, and ancient Egyptian hieroglyphs that depict alcohol rations for the afterlife. Plunge into the studies of a Penn Museum biomolecular archaeologist who collected samples of fermented beverages from ancient vessels and has brought some of these potent “time capsules” back to life using chemical analysis. Quench your thirst for knowledge of bygone brews on your tour with your own taste-test of Midas Touch, the most awarded of the Dogfish Head brews, created in part by the biomolecular archaeologist. 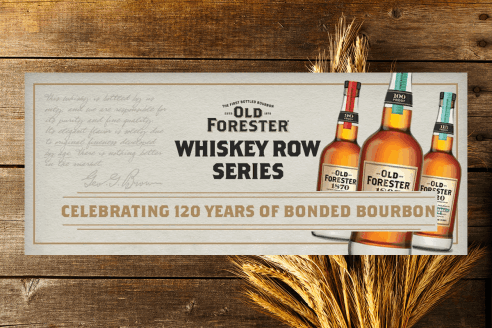 Old Forester Whiskey Row Series- Old Forester is America’s First Bottled Bourbon. The Whiskey Row Series invites bourbon lovers to taste their way through Old Forester history through each unique expression. With each release, the series highlights significant milestones and production innovations on Louisville’s Historic Whiskey Row. 7pm and 8pm with Molly Kersten. Bulleit Whiskey Expert Tasting- Bulleit whiskeys quickly became one of the most popular American whiskey brands with the help of bartenders and the return of "cocktail culture". The parent company of Bulleit just happens to own some of the finest distilleries in the world. Here in the United States, they own one of the most fabled and historically revered distilleries to ever make whiskey- Stitzel Weller. Learn all about the incredible brands that came from this famous distillery and aged in its iconic warehouses in Shively, KY.
Join whiskey expert, Rachael Ewing, in learning about the history of Prohibition, American whiskey production and the turning point in American spirits all while sampling incredible whiskeys like Bulleit, I.W.Harper, George Dickel and Diageo's Orphan Barrel.